Welcome to Our Success Stories Area! Here you will find testimonials and letters that have been sent in from customers, clients and readers. We hope these stories help to inspire and build hope for you on your journey towards parenthood. Disclaimer:Testimonials appearing on this site are individual experiences, reflecting real life experiences of those who have used our products and/or services in some way or other. However, they are individual results and results do vary. We do not claim that they are typical results that consumers will generally achieve. The testimonials are not necessarily representative of all of those who will use our products and/or services. Hi there! I started taking 1000mg Vitex my last cycle to try and increase my LP, which had been very short since coming off birth control. First cycle was 18 days, the next 2 were 22 days, each time ovulating around the 14/15th. Something seems to have worked as I am now 4+4 pregnant! Heather Makes Changes After Several Failed IUIs and Conceives! Update from Gemma: We are doing well. On the 7th August I gave birth to my beautiful daughter. She came 10 weeks early due to an infection in the uterus – however she is thriving. We’ve not had the greatest start as she was diagnosed with cardiac defects in uterine, we are 11 weeks into our stay at NICU but we hope to be home soon. To say we are delighted with our little fighter is an understatement – and she wouldn’t be here without the help of natural fertility products. 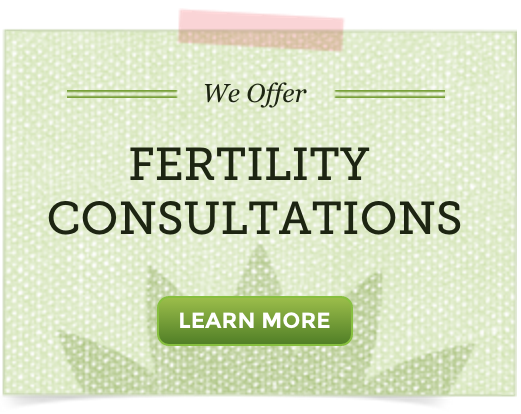 Conception was easy after taking UteriCalm – and I could feel a difference when taking it. Even my periods felt different – less fiery. My husband and I got married about 6 months ago and we decided we wanted to try for a baby. I was discouraged at first because I thought he was too old (41) and I felt I was infertile. So I found your website when I was in my Two Week Wait and first read your article “Six Things You Should Be Doing During the Two Week Wait” which was WAY more helpful than any other blog I wasted my time on. That led me to discover your article on the right Fertility Diet. That day I went out & bought raw pumpkin seeds, goji berries, $60 in organic produce and I changed my diet completely. I also started making detox smoothies in the morning with all organic produce and made my husband drink them! 3 months later BAM! I got my BFP! I’m 5 weeks along and will continue this healthy diet to protect & nourish my baby. I believe with all my heart that changing the foods we were eating was the reason. Our bodies were designed for these foods so it makes sense it’s what it needs to grow a human! Thank you SO MUCH for this website and all the helpful wisdom and knowledge! I’m forever grateful and so is this baby!! 🙂 Baby Dust! Kai Walker Peoples made his debut at 8:06am on Dec 16th weighing 7lbs 9oz, 20.5 inches long! Perfectly healthy! 💞 No problems at all. So thankful for that! Both my other boys were born with some problems, my first was born with a cataract in his eye which left him blind in left eye & also was born with severe jaundice which he had to be kept in the nursery under the lights, my second son was born with fluid in lungs & that required immediate trip to NICU where I didn’t see him til 6 hours later. So it was such a blessing and relief to be able to hold my healthy baby right after he was born. I really think eating all organic & Non GMO had a lot to do with it! I didn’t eat right with my other two boys, which I of course regret, but I just didn’t know any better being so young. Anyway, thanks for all your support and help! I’m writing to let you know that after 2.5 years of trying, I’m now expecting!! I’m so excited and I truly believe your products helped. My ovulation became normalized while using Tribulus and Royal Jelly, which I started this past May 2016. I also took Black Cohosh from another site along with it to get my periods to 28 days after having 3 years of 35-40 days after being on the pill for way too long, throwing off my cycle. That, with maybe getting the HSG test, which cleared the way, I’m now 7 weeks pregnant. Although early, I can’t help but share!! Thank you! I’m currently 35 weeks +2 and baby is doing wonderful! Still can’t belive this is happening and I feel incredibly blessed to have started this journey with your products!! Thank you!! 38 y/o momma! !